So here I am in Dublin, the capital of the Republic of Ireland! 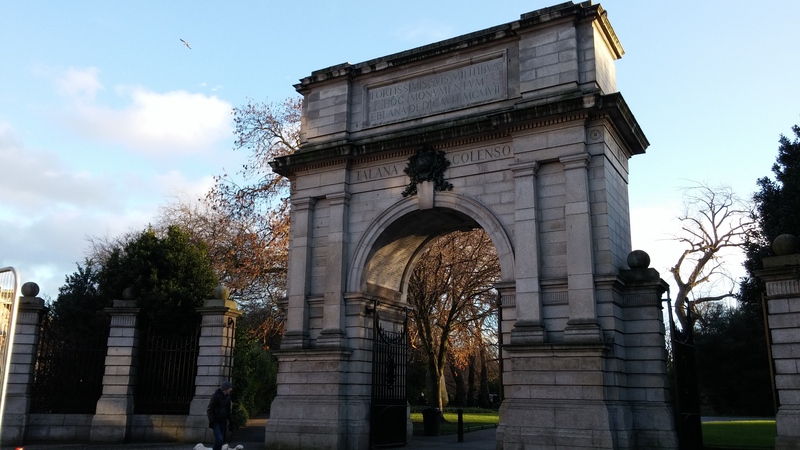 Over the last three months I have been to Baile Átha Cliath (don’t ask me how to pronounce that) a couple of times – about time I wrote an article about this beautiful city. For those of you who have been following my travels, it’s practically a 180 from the always sunny and super dry Los Angeles, but don’t panic and think it’s always raining here, not at all! 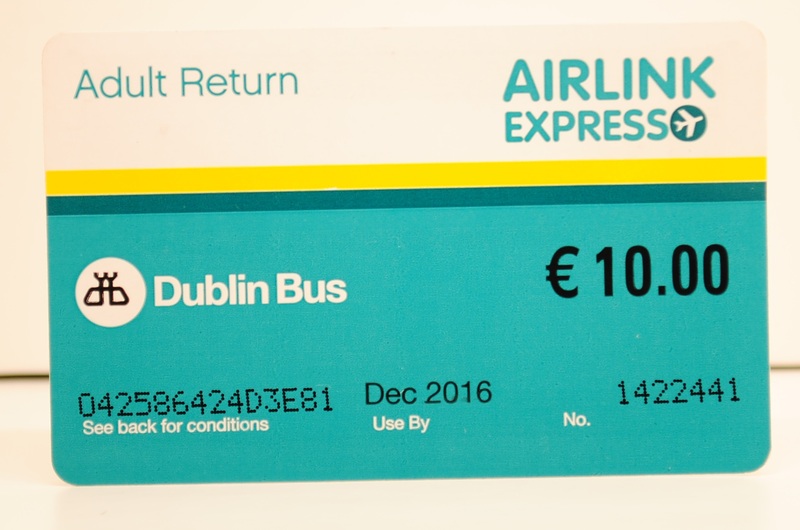 If you get to Dublin by plane and don’t want to pay for a taxi, just hop on the Airlink Express bus “747”. There is one every 10 min. A friendly man with a light green jacket waiting for you at the bus stop in front of either termina will gladly sell you a single (6€) or return (10€) ticket. It takes about 30 min to get to the center. You’ll know you’ve made it as soon as you can spot the river Liffey. Dublin has a population of almost 1.3 m people. However, as you get to the city center, it does shrink around you a little bit. A lot of very exciting places are within walking distance. I always say, every city worth living in should either have access to a lake, a river or even the sea. 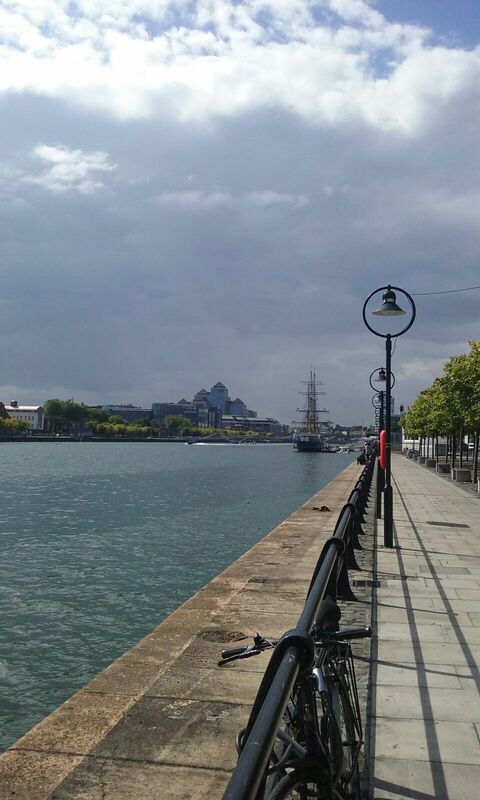 Dublin has the sea and a river, the River Liffey. 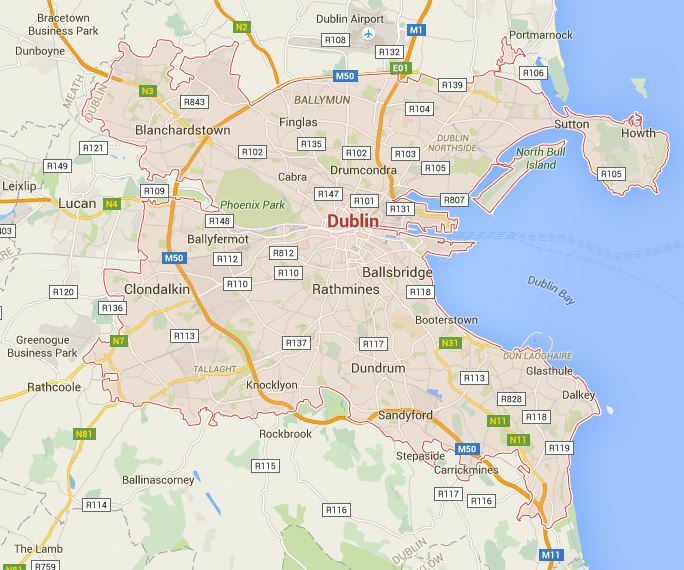 As a matter of fact, it pretty much cuts through the middle of Dublin, separating it in a north and a south side. Don’t get carried away and think the north and south is separated like west and east Berlin used to be before David Hasselhoff came and knocked the wall down while he was looking for freedom! Historically, the north used to be the working class’ territory, whereas the south would be the place to live if you were reasonably well off. This is probably still true to some extend, but not as significant as it used to be. 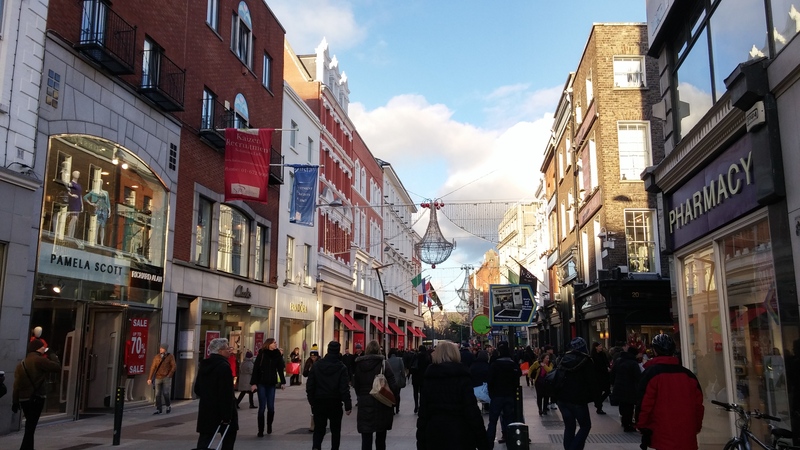 Stroll down O’Connell Street, one of Dublin’s largest avenues, and go to the movies or shopping. But you shouldn’t just leave it at that, since the events taking place on O’Connell Street had a big significance on the Irish independence from Great Britain. Completely renovated during the 2000’s, O’Connell Street became home to The Spire in January 2003, the world’s tallest sculpture (121.2 metres). 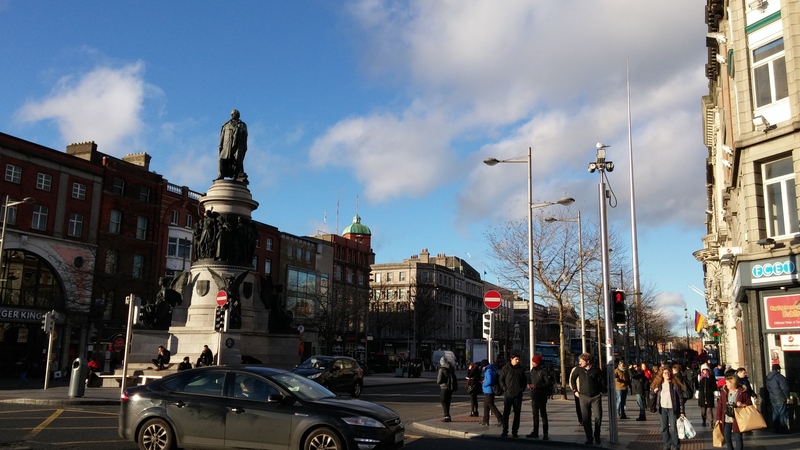 As you walk down to the southern end of the street, you’ll pass the O’Connell monument, obviously referring to Daniel O’Connell, one of Ireland’s most significant liberator. 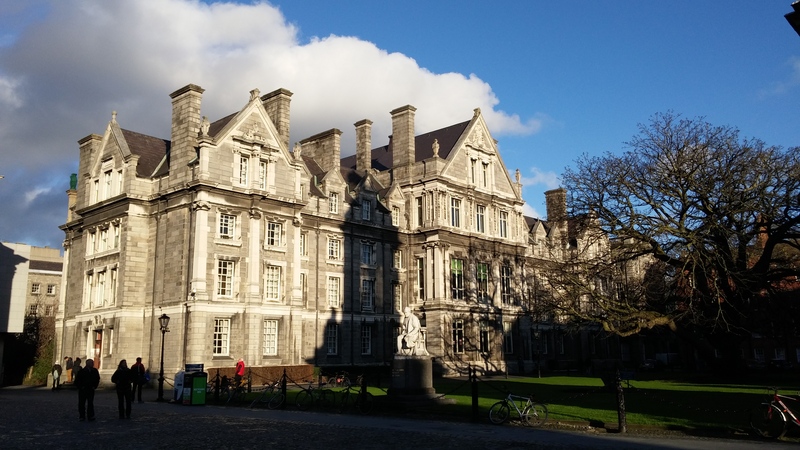 Head south, across the River Liffey and you’ll find yourself in front of Trinity College, Ireland’s oldest university. Established in 1592, it has undergone a major academic restructuring in 2008. The three current academic faculties are “Arts, Humanities and Social Sciences”, “Engineering, Mathematics and Sciences” and “Health Sciences. If you don’t feel like studying and prefer going out, you don’t have to walk much further. 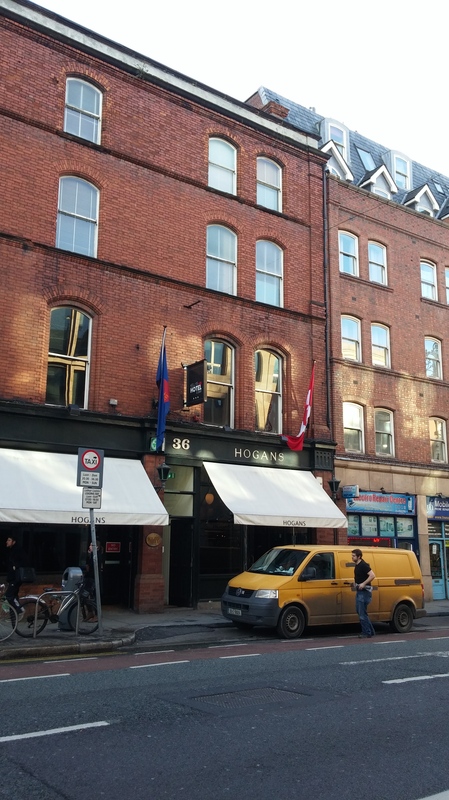 The entire neighborhood south and south-west of Trinity College is filled with tons of since restaurants from all over the world: Do you like a blend of Swedish and Japanese? 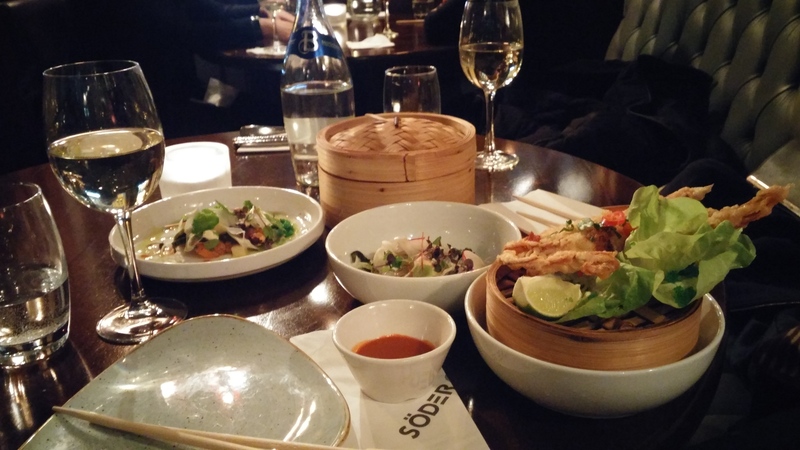 Check out Söder + Ko. There are tons of nice places to go for food. On top of it, you’ll be surrounded by the beautiful Georgian style buildings. 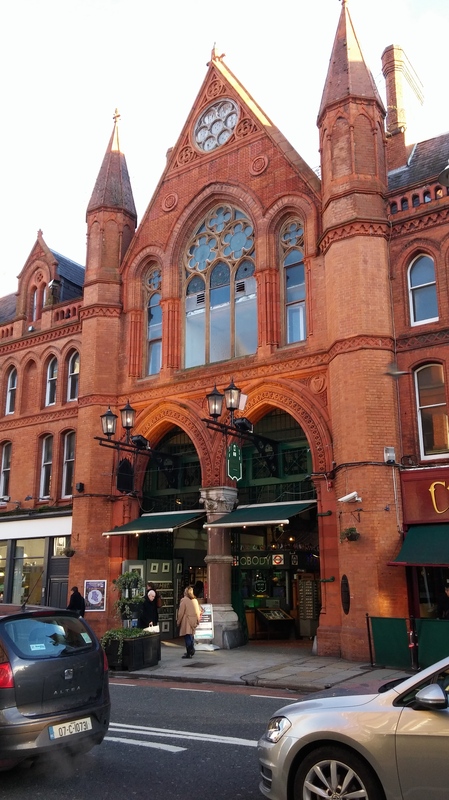 And on your way to Grafton Street, you might as well go through George’s Street Arcade! If you need a place to stay, why don’t you check out Kellys Hotel? It doesn’t look like much from the outside, both once you get up to the reception, you’ll find yourself in a cozy place. Don’t worry, that’s just the beginning. So the Kellys is a hotel on the upper floors of the building. 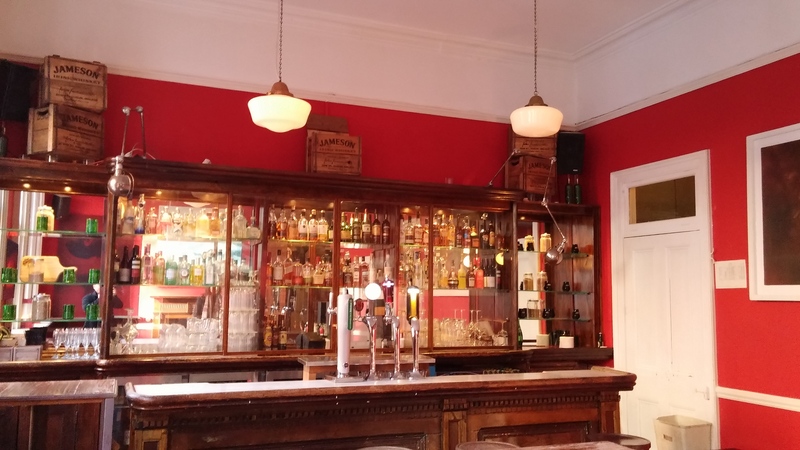 You can access the other side of the building and enter the “Bar with no name“. It was never actually given a name so this is what it ended up being called. It’s a really nice place to try a new cocktail (Via Lactea anyone?) 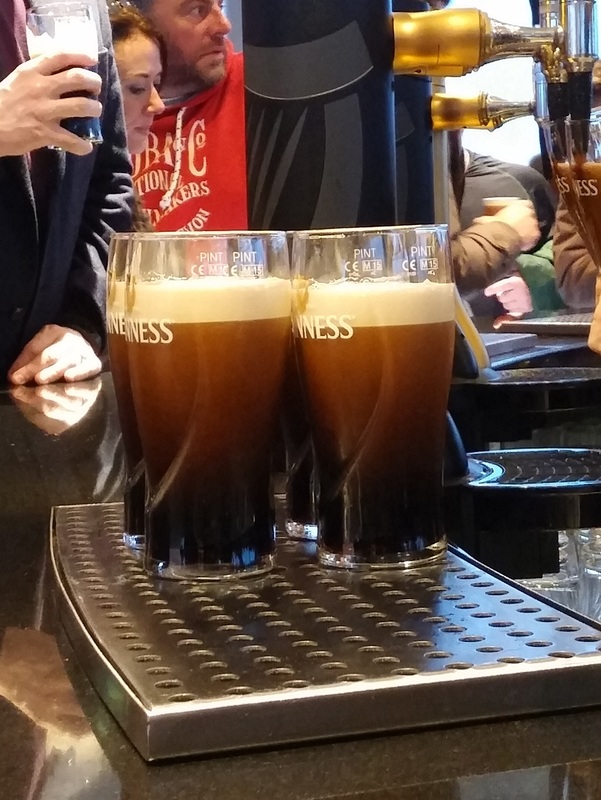 or simply go for the traditional Irish brew and order a pint of Guinness. There is only one thing you should be aware of when booking a room at the Kellys: since there is a bar just underneath/in front of the rooms, it tends to get loud pretty much all night during the weekend. Now what? Just get out and enjoy life yourself! You can sleep when you live in an old people’s home! If you prefer spending a quiet “tête à tête” with you special someone, I’d recommend staying at the Candle Bar, as it is much smaller and far less crowded. After you’ve done the eating, drinking and sleeping, why don’t you go shopping? 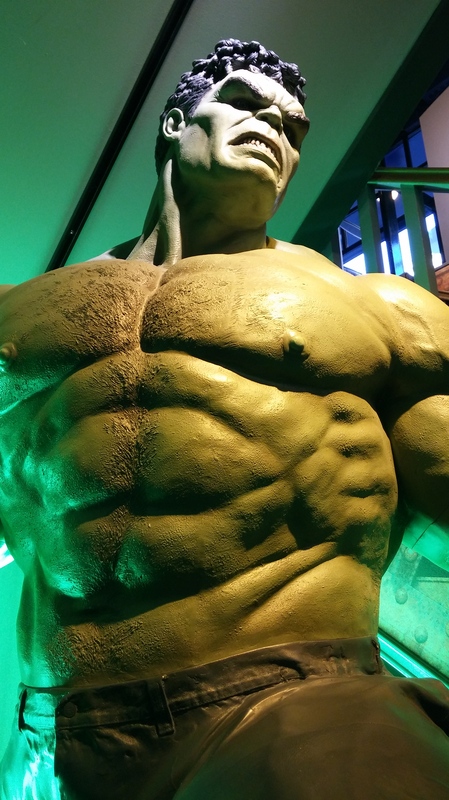 After all, no real city trip is complete before you’ve bought something to bring home, whether it’s a shirt, a mini Star Wars Chewbacca or even a real size Hulk straight out of the Disney Store. By now you’ve done your shopping and tired of the noises and people. 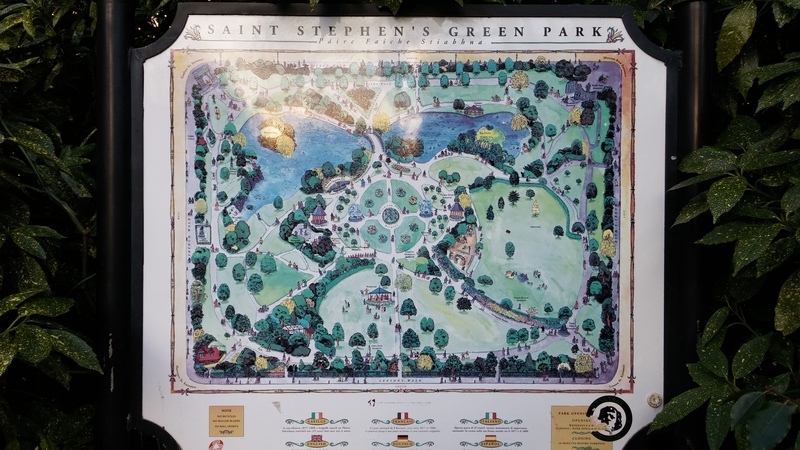 If you’ve worked yourself through Grafton Street starting on the north side, you’ll be arriving at the southern end, facing the entrance gate of St. Stephen’s Green. It’s a 9 hectares public park in the middle of the city. How convenient! 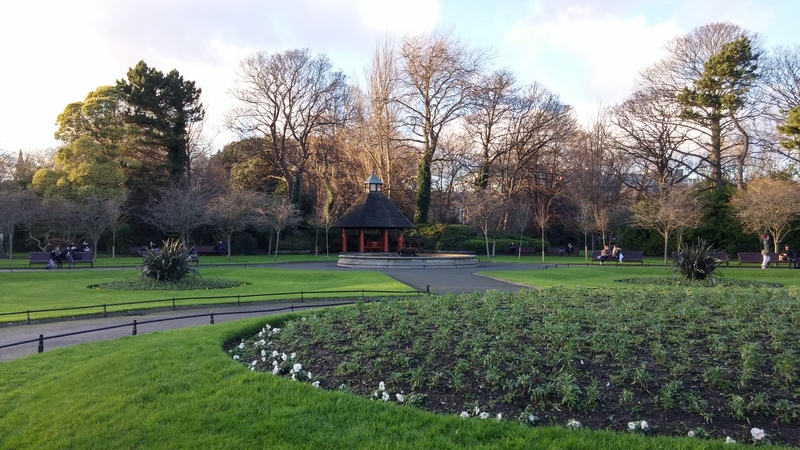 Although Dublin is not a super loud city like New York or Paris, it is still a big city and every once in awhile, you need to take a break and escape to the more quieter, greener areas of the city. 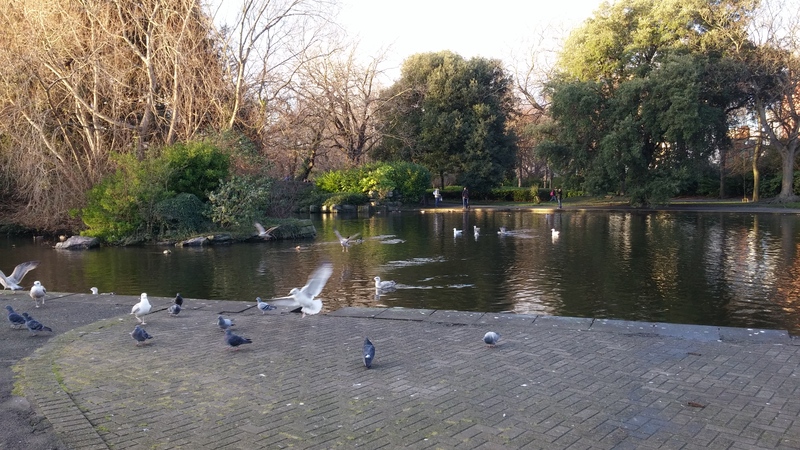 What better way to do that than in St. Stephen’s Green. It’s not quite big enough to go for a long morning run but perfect for a sunday afternoon walk. 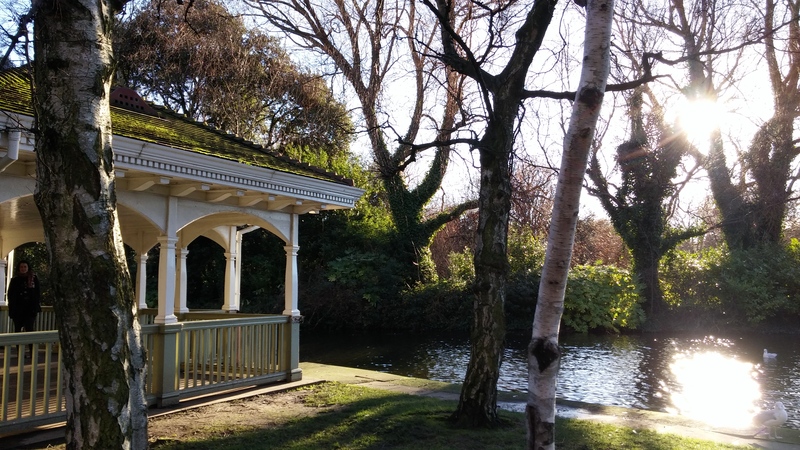 Little pavillons, a pond, a good mix of perfectly maintained shrubberies as well as some wild trees – just listen to the birds at look at the children’s gaze of amazement as they see some swans approaching. 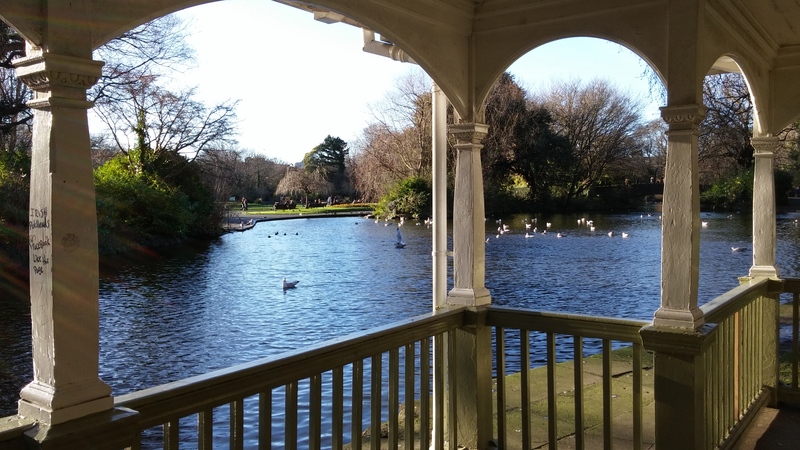 If you’re really looking for the great escape, I’d recommend you to take a stroll in Phoenix Park, but I’ll get to that in a different article. I guess you’ve been waiting for this one, aren’t you? 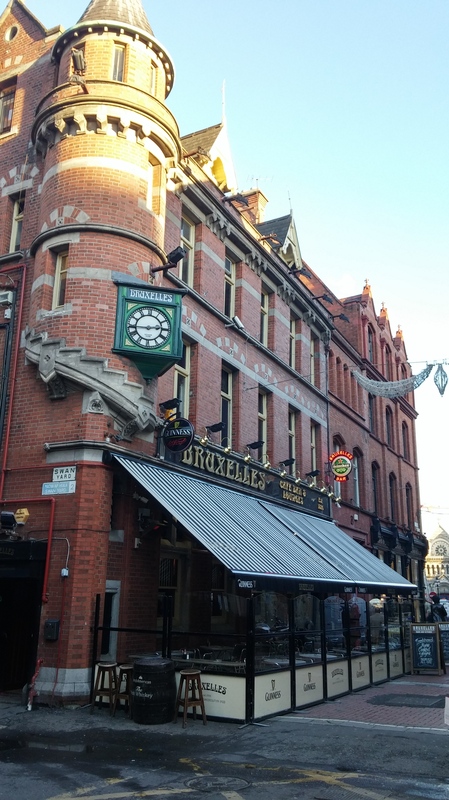 No trip to Dublin is complete without a couple of pints of Dublin as well as a trip to the iconic Guinness Storehouse. 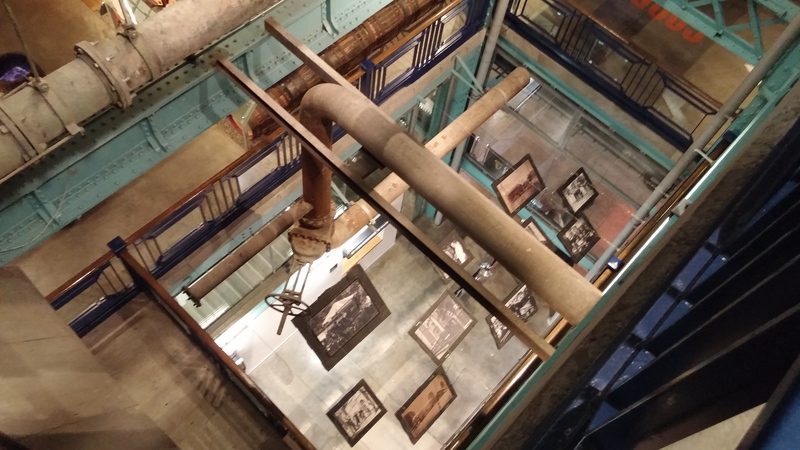 Anyway, after you’ve passed the entrance, you can follow the arrow guiding you through all the different floors and parts of the Storehouse, the retail store, a proper introduction to the history of Guinness and its founder Arthur Guinness, the brewing and so on. 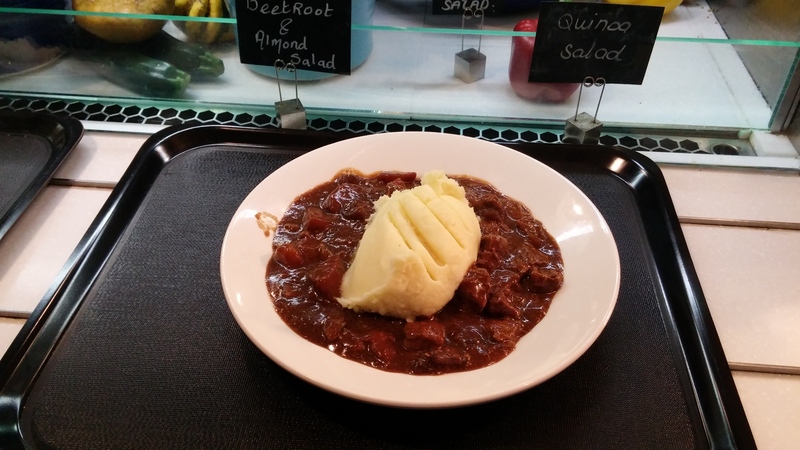 Or you can also just head straight to the restaurant on the fifth floor and spend most of the afternoon enjoying a delicious Guinness beef stew with some Guinness bread and a Guinness (full stop). DO IT! This doesn’t mean you shouldn’t visit and experience the rest of the Storehouse, not at all. Discover all of the floors, you won’t regret it. Ground floor: Already covered that! 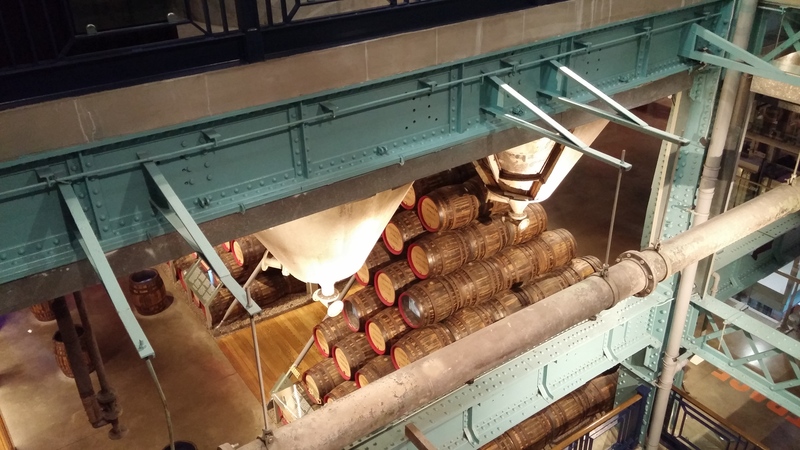 1st floor: Brewing, Cooperage/Transport: You’ll be guided step by step through the brewing process by a Master Brewer! Malt some barley, roast it, mill it and then mix it with some hot water. Filter the liquid off and boil it with hops. Add some yeast at let the magic fermentation begin. Afterwards, you may clarify the beer, let it mature and enjoy at you own risk! 2nd floor: Taste Experience: A pint of Guinness is not just some liquid you drink like a Red Bull on a Monday morning. No no no no (nein nein nein nein!! ), the flavor of a Guinness has to be experienced. The art begins even before you have in your glass. Want to know more about that? Get to the Storehouse. 3rd floor: Guinnes Advertising/Drink IQ: It’s all nice and good to brew one of the best quality beer in the world. If you don’t tell anyone about it, you won’t sell a single pint. 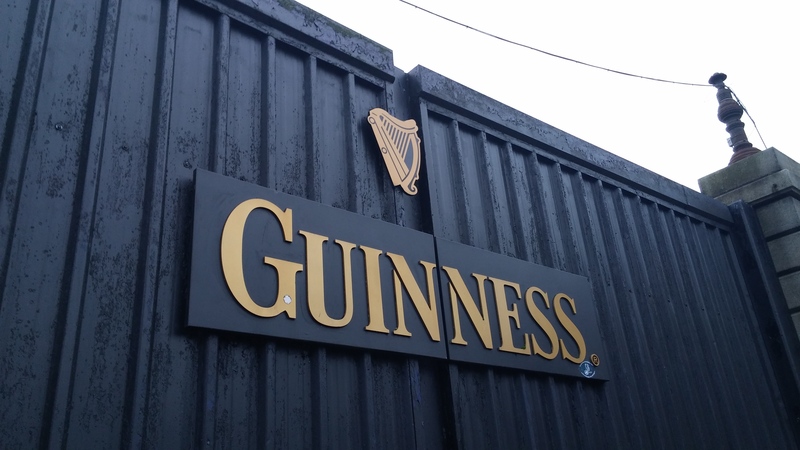 Here’s where you get some insights into the Guinness advertising world. 4th floor: The Guinness Academy/Guinness around the world: Practice the art of pour, learn about the four main Guinness variants, how they are enjoyed around the world and learn how to taste a Guinness by a trained specialist. Guinness Draught, Original, Foreign Extra Stout, Black Lager? Yours to choose – do it wisely! 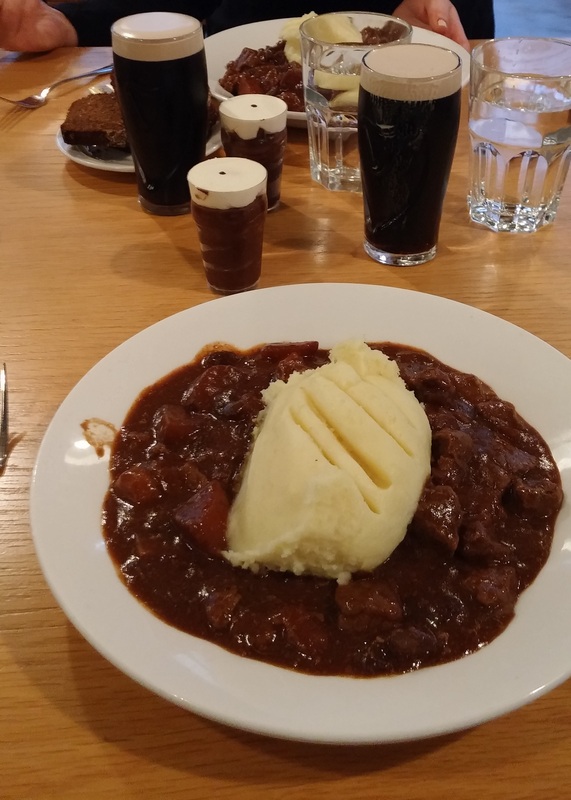 5th floor: Guinness & Food Experience: I already mentioned the Guinness Beef Stew. It really is an excellent choice. 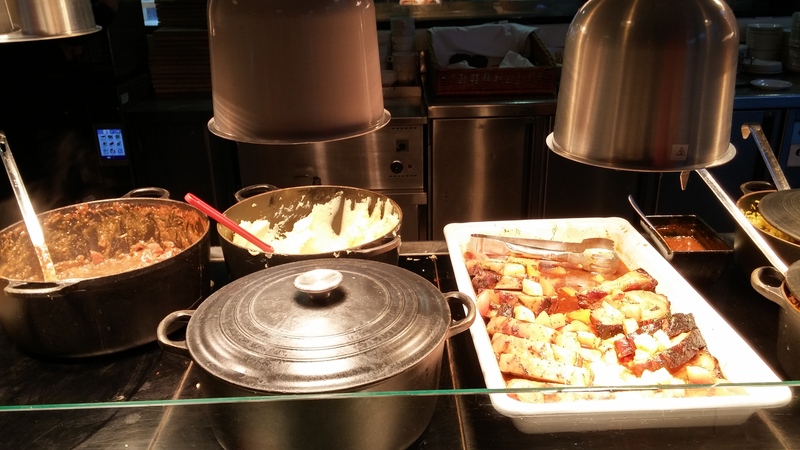 Nonetheless, there is much more on the menu to choose from, so make your own decision. 🙂 I can however, also recommend the Guinness chocolate mousse. 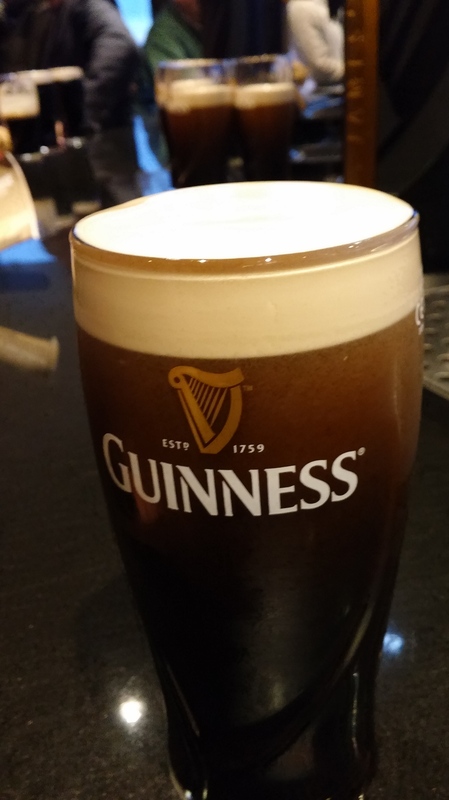 They serve it in little plastic glasses shaped like a pint – sometimes life is just perfect! 7th floor (I have no idea where 6th floor went…): Gravity bar: Although there are other bars on the other floors, this rooftop bar is no doubt the coolest of them all. Present your voucher you got with your ticket and enjoy your free pint. Cheers! Now you’ve gone through all of the trouble of reading this article, whereas you could just as well have watched this short clip of the aforementioned areas. Don’t worry, it’s not too late. I shall return to Dublin and complement this article – stay tuned!